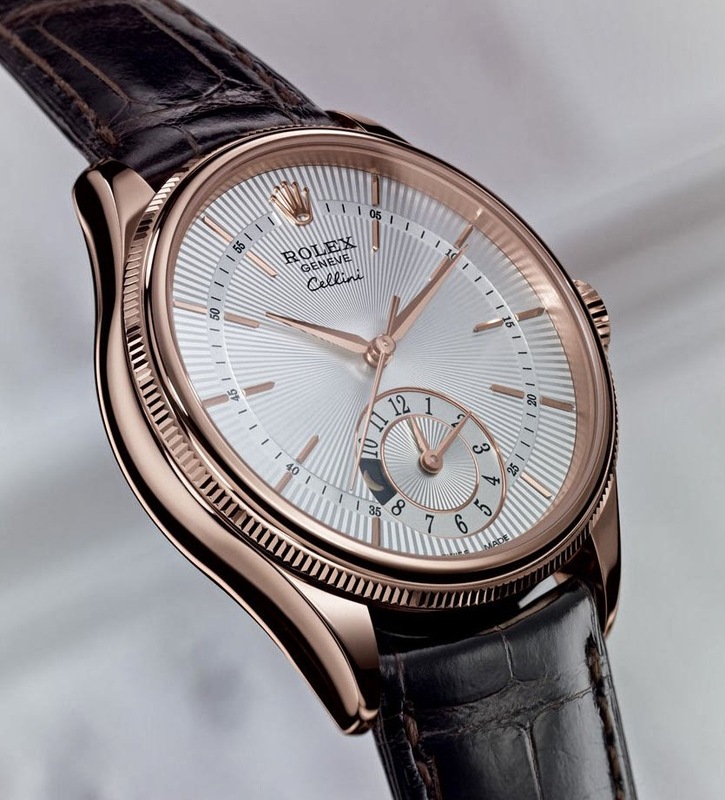 Rolex presented several new models at BaselWorld 2014, including the new Cellini collection consisting of 3 main lines - Time, Date and Dual Time - for a total of 12 models. Dedicated to Benvenuto Cellini, goldsmith and sculptor of the Italian Renaissance, the new collection is a celebration of classicism with sober lines and noble materials. 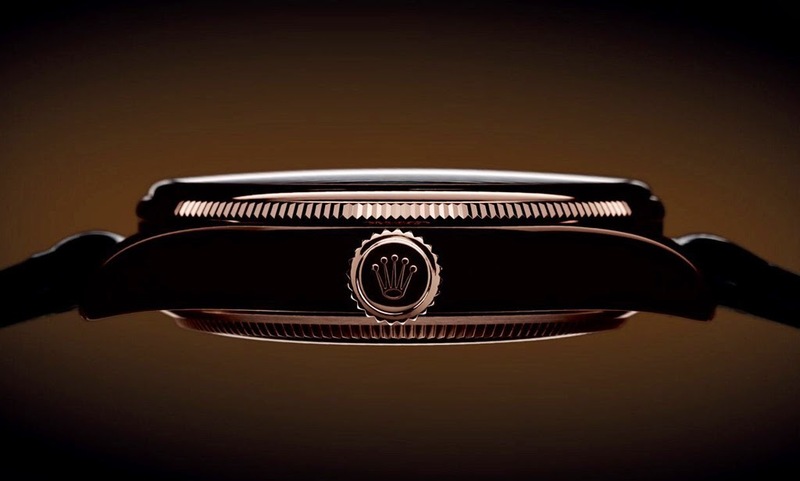 The round 39 mm cases are available exclusively in polished white or Everose gold cast by Rolex in its own foundry. The design is characterised by a double bezel, one domed and the second fluted. The fluting is also present on the case back, serving to screw it down. The case back is domed as seen in models of the past. The dials are either black or white lacquered for the Time line or decorated with a black or silver-plated classic “rayon flammé de la gloire” guilloche motif for the Date and Dual Time lines. The dial of the Cellini Time (ref. 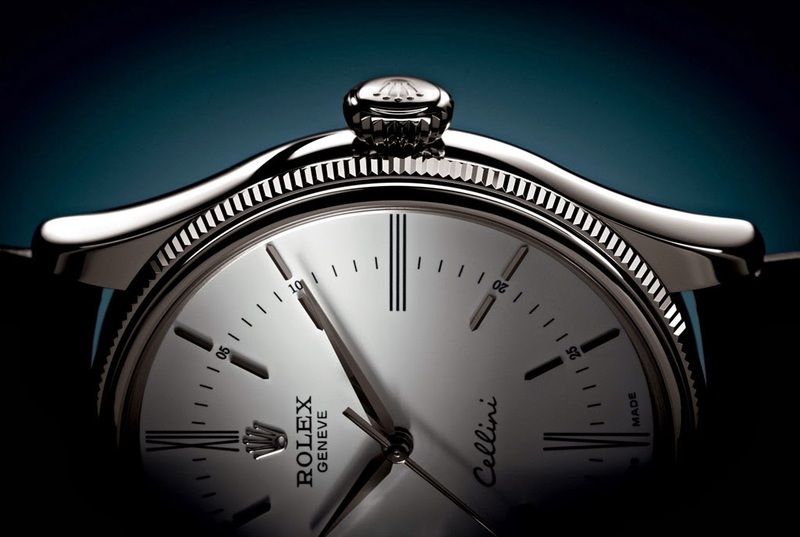 50505) line features stylised, elongated Roman numerals and stretched applique hour markers, which are divided by a minute track that has been moved towards the centre of the dial, closer to the tips of the hands. 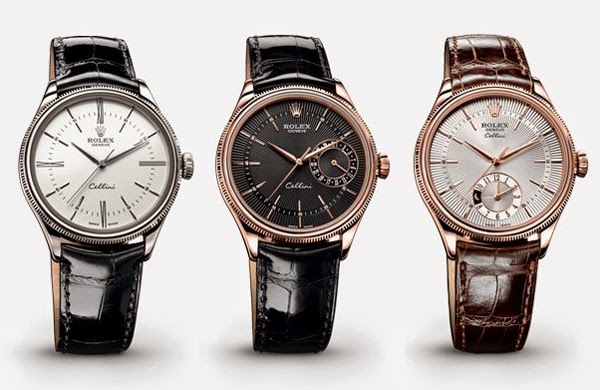 The Cellini Date (ref. 50515) adds a date function via a hand on a small sub-dial at 3 o'clock. 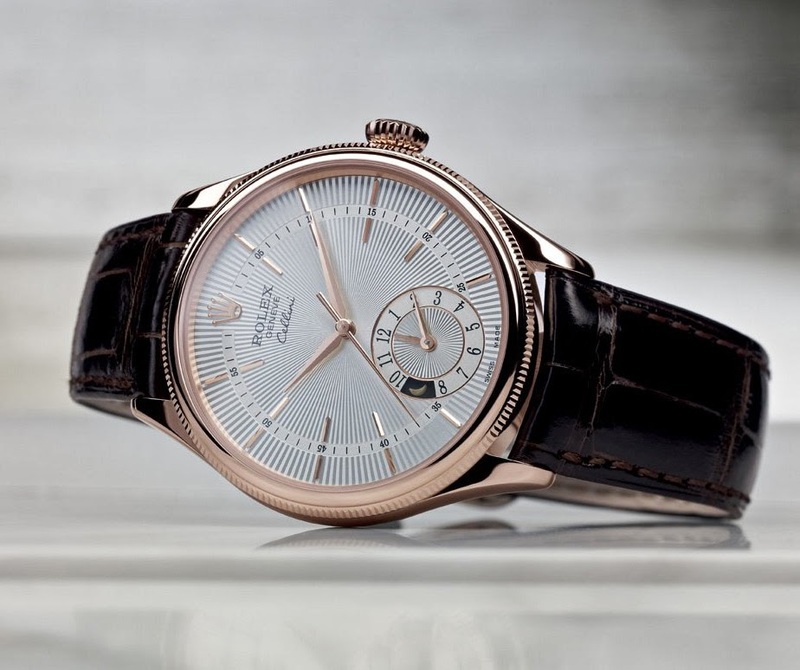 The Cellini Dual Time (ref. 50525) indicates the time in two time zones simultaneously and features a small day/night indicator in an aperture on the sub-dial for the second time zone. 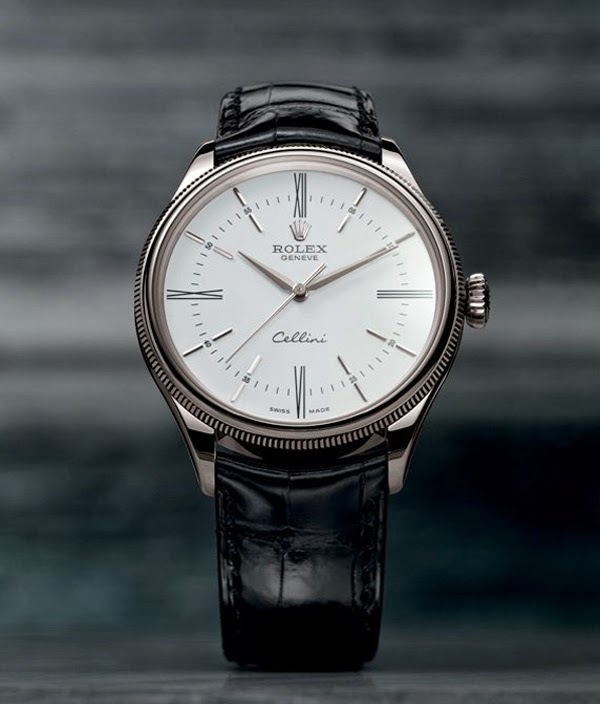 All the new Cellini models are water resistant to 50 metres and feature a self-winding mechanical movement, certified as a chronometer and entirely manufactured by Rolex. Beating at 28,800 vibrations per hour, it offers a power reserve of approximately 48 hours. 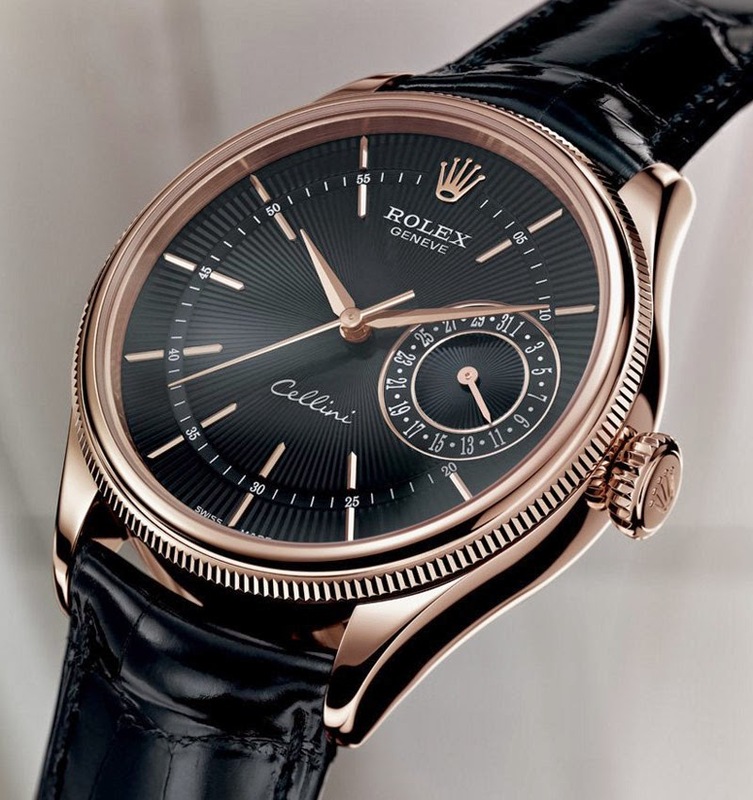 Rolex presented several new models at BaselWorld 2014, including the new Cellini collection consisting of 3 main lines - Time, Date and Dual Time - for a total of 12 models. The dial of the Cellini Time (ref. 50505) line features stylised, elongated Roman numerals and stretched applique hour markers. 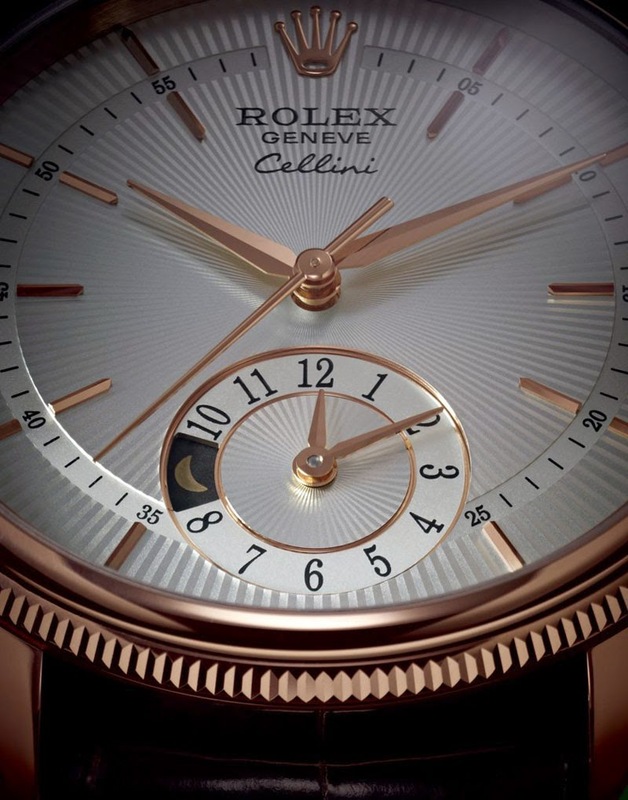 The Cellini Date (ref. 50515) adds a date function via a hand on a small sub-dial at 3 o'clock. The Cellini Dual Time (ref. 50525) indicates the time in two time zones simultaneously and feature a small day/night indicator in an aperture on the sub-dial for the second time zone.